In case of 1 or 2 above, we appreciate it if you could kindly let us know your approximate arrival time to the meeting point by calling at 090-2472-3358 or sending mail to the following mail contact in advance. The service base of B-Ike Tokyo in Skylink Tower is very easy access from Kachidoki Station, Toei Oedo Line, about 10 minutes away by foot. If you can come to Skylink Tower directly, please meet B-Ike staff at rest area of Seven & Eleven on the 1st Floor of the Skylink Tower at the scheduled meeting time. There are three nearby subway stations to B-Ike Tokyo. 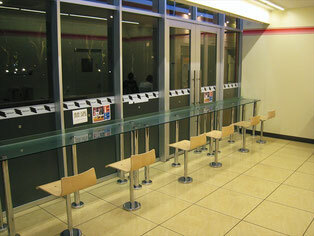 B-Ike staff will meet you at the exit of the station that would the most convenient for your access to B-Ike Tokyo. Although we have free shuttle service between nearby hotels and B-Ike Tokyo, let us recommend you to meet B-Ike staff at one of these subway stations to avoid some delay of tour schedule due to heavy traffic jam on the way to your hotel, particularly on weekdays. 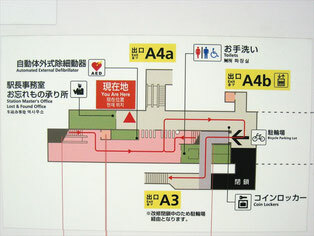 The meeting point with B-Ike staff is at Exit 1, the end of the station escalator to the ground level. 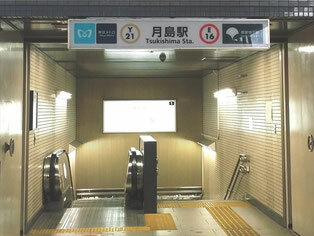 Yurakucho Line is convenient for guests from Ikebukuro area. It takes 24 minutes from Ikebukuro (Y09) to Tsukishima (Y21). From Tsukishima Station to B-Ike Tokyo, it takes about 10 minutes by our free shuttle service. 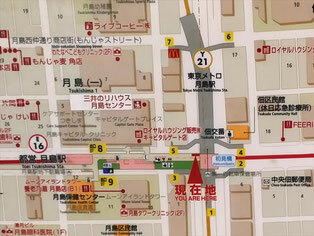 The meeting point with B-Ike staff is at Exit 1, which is adjacent to Tsukiji Hongan-ji Temple. 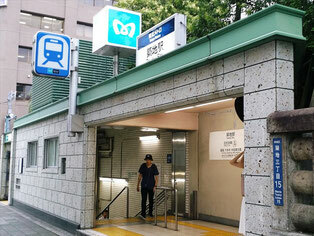 Hibiya Line is convenient for guests from Hibiya, Roppongi and Ebisu areas. 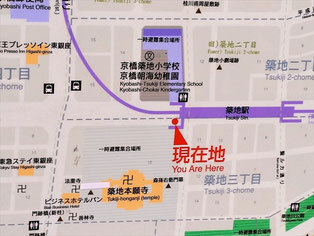 It takes 19 minutes from Ebisu (H02) to Tsukiji (H10). 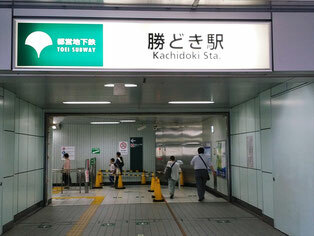 From Tsukiji Station to B-Ike Tokyo, it takes about 10 minutes by our free shuttle service. If you are unfamiliar with public transportations in Tokyo and you stay at nearby hotels in Chuo-ku, Tokyo, B-Ike staff could meet you at your hotel and provide you with free shuttle service between the hotel and B-Ike Tokyo. 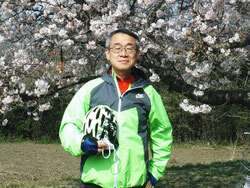 For you who stay at hotels in area other than Chuo-ku, please make inquiry to us. Depending on how far your hotel from B-Ike Tokyo is, and what is traffic jam is like on the way to your hotel, we might ask you to take alternative public transporation to meet B-Ike staff at some other points convenient for you.